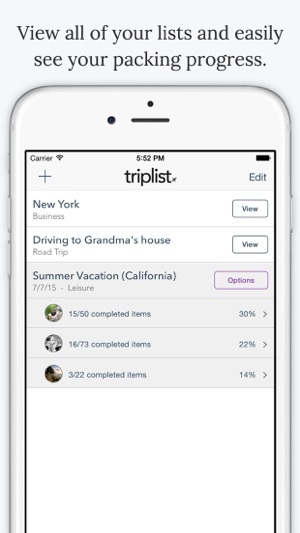 TripList is a full featured packing list and to-do manager for travelers. We help thousands of travelers pack and organize their trips everyday and we can help you too! TripList is an packing list app that helps you pack better and faster than ever before. With TripList you will spend less time worrying about what you did or didn't pack and more time on the things that really matter. 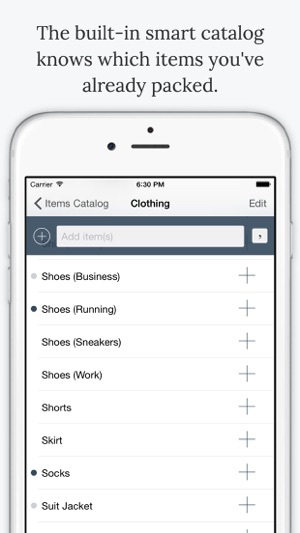 Create a list, then add items to it from the built in smart catalog or individually. All items are shown in categories making it easy to organize your packing. 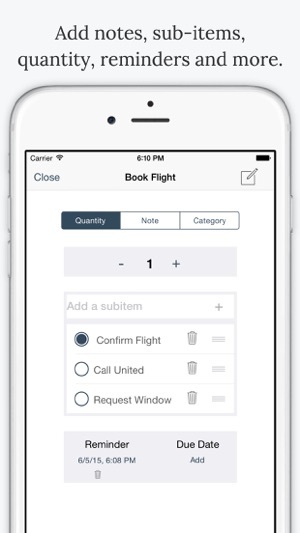 With the optional Wizard in-app purchase, TripLists can create lists for you and everyone else that is traveling with you with just a few taps. TripList Wizard adds items to your list based on your destination city, the weather, your planned activities and the age of the traveler. After you have finished your trip, you can save it for later use. When your next trip comes along, simply choose your past trip and all of the items and details are brought back for you again. Whether you travel twice a week or twice a year, you can depend on TripList to be there when you need it most. The items catalog is where all of your commonly used items are stored. It is completely customizable, you can add/edit/delete any item inside of it. We provide an initial 250-300 items in the catalog to get you started. TripList is proud to include iCloud & Dropbox sync for multiple devices. 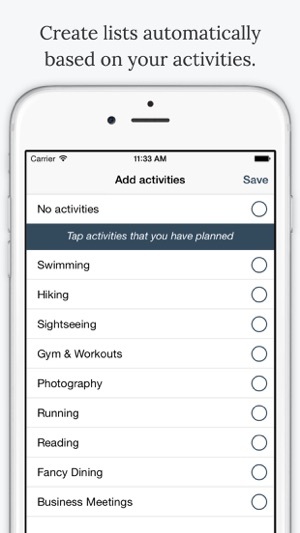 Create a list on your iPhone and a few moments later have it on your iPad or iPod touch. 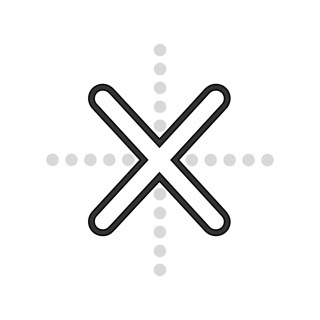 TripList supports multiple users. Create a single list and switch between them to pack for the whole family. Each member of your family can sync lists on their own devices. 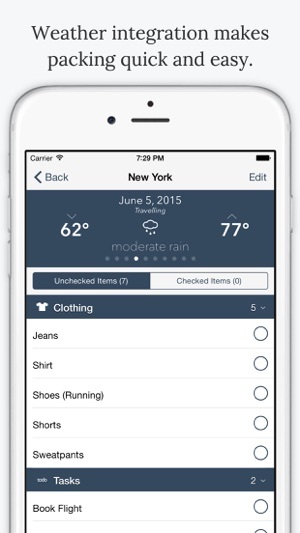 With our built in 10 day weather forecasts, you can easily pack exactly what you need for your trip. TripList includes support for importing and exporting both user lists and the items catalog in CSV format. You can easily create a trip on your computer using a spreadsheet program and send it over to TripList for easy importing. TripIt is a popular travel itinerary tool used by business and leisure travelers around the world, and TripList can connect to it. TripList automatically checks your TripIt account for new trips and it asks whether you would like to create a new list for your trip. 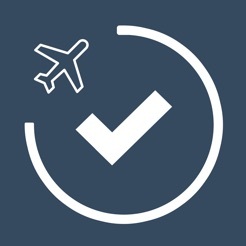 - Reminders & Due Dates: Add notifications to trips and individual items to help you plan your trip better. - Sub item support: Create sub-items on your list for advanced list making. 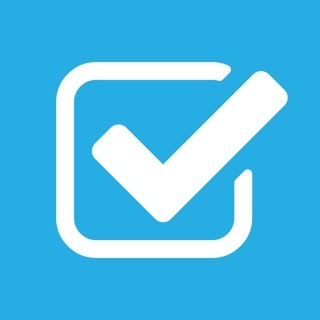 - Quantity support: Add a quantity indicator to items on your list. If you need help, we'll be there. We have an extensive help and frequently asked question system built right into the app. We also have an in-app chat system which you can use to contact us should you need additional help. Travelers love TripList. We've been featured on The New York Times, The Telegraph, MacReview, PCWorld, TheNextWeb, AppAdvice and dozens more online and print media publications. 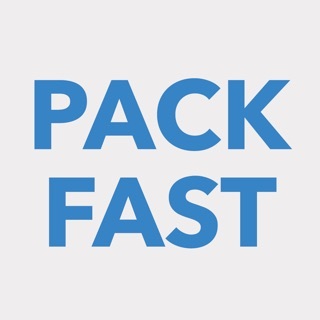 We also make PackFast ($2.99), which is a minimalist packing list creator. It's doesn't have most of TripList's bells and whistles, but for those seeking absolute simplicity, it's second to none. I tried about 7 packing list apps and they all had stupid features that were useless with limited to no custom capabilities. This one is just the basics, categorized just like I pack (and I can move the items to the category I want), plus it has the ability to add custom items, categories, etc. I upgraded for $5 and have the ability to create separate lists for me and my husband, an essential feature since we have different packing needs. I read all the reviews. I’ve never had a problem with this app. 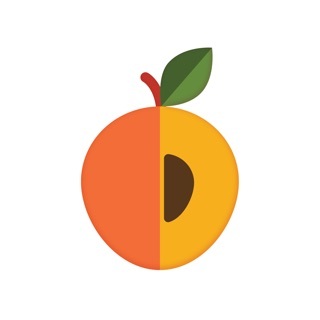 I started using it on an iPhone 5s and currently using an iPhone X. No problems so far. I use the free version and do not allow iCloud use. My only limitation is saving list or making a copy to rename. Thought about upgrading to the Pro version but will wait for a little more improvements. I LOVE this app!!! It’s perfect for any trip, and I love that you can customize the items in the catalog. It is definitely worth upgrading to the Pro+Wizard version because it saves a lot of time by making your list for you. The upgrade also shows the weather on the days of your trip and packs accordingly. It is very helpful, and I definitely recommend getting.